TTN Discover Series featuring Joy Loverde - Active Aging: What's In Your Toolkit? The success of our virtual Breaking Free Groups proved that TTN womens are secure with the online environment and ready to explore new connections using video conference technology. As part of TTN's mission, we offer members the opportunity to Connect, Discover, and make an Impact. This year we will be offering more ways to Discover your best life. 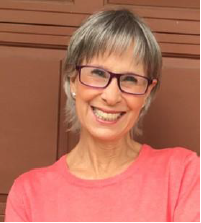 Our February 25 presenter is Joy Loverde, author and key-note speaker, who also happens to be a TTN Chicago chapter member. Joy is a recognized expert in helping us take control of our lives and plan for a vibrant and engaged future. In this session, you'll Discover what you need in your "aging toolkit" so you're ready for the changes ahead. Register here on the TTN website. Prior to the session, you will receive an email with a link to join the webinar. Try to log in at least 15 minutes ahead to ensure your connection is working. We look forward to having you with us as we launch this exciting series of interesting, informative, and interactive opportunities to Discover!